Yankee fans ought to have fond memories of Hideki Irabu, who sadly passed away last week. Michael Schur discusses Bowling Alone, Thomas Hardy, The Wire, Jason Schwartzman, and The Iceman Cometh in an effort to break down the third season of Parks and Recreation. He also endorsed this website. Read Marc Maron’s keynote speech at Montreal’s Just For Laughs Comedy Conference. Things did not go well for Kings of Leon in Dallas last week. This is why newspapers are dying. The story of a scrappy, underdog tech company named Microsoft. With the end of television season, New York Magazine published a “showrunners” issue, including interviews with Dan Harmon of Community, Louis C.K. of Louie, and Amy Poehler of Parks and Recreation. Another Parks & Rec star talks about his most famous television role. Meanwhile, the show’s co-creator, Michael Schur, talked to Alan Sepinwall about the show. This 1993 profile of Lenny Dykstra was a watershed piece of sports writing that now seems eerily prescient. Hendrik Hertzberg makes an insightful point about Obama’s tiff with Netanyahu. Also in the New Yorker, some musings on the ominous possibilities of the Bradley Manning case. A profile of Facebook’s less-famous COO. Legal writing superstar Bryan Garner has released interviews he had with eight Supreme Court justices on legal writing. District Court Judge Weinstein, on the other hand, should not be offering writing tips after his 400-page sentencing opinion. A famous fellow Duke alum talks about being a Cameron Crazie. Black & white pictures of New York City never get old. Nor do the vocals of Beatles’ songs: here’s Paul McCartney’s isolated vocal of Helter Skelter. I already offered my problems with Avatar when I reviewed it two weeks ago. While I don’t want to repeat myself, that review was written shortly after the film’s opening, before the popular opinion of it had a chance to congeal. 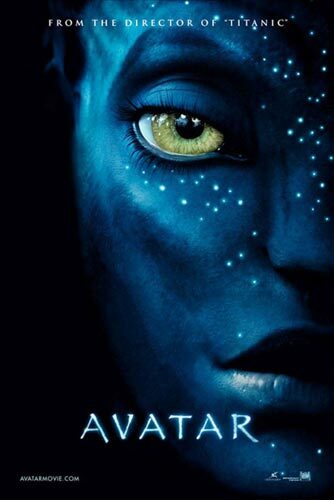 In general, opinions of the film haven’t been totally different—though they have been much more positive—from my own: The consensus seems to be that Avatar is visually impressive, if not all that original in terms of story and character. What has been surprising, though, is how critics and audiences alike do not seem to care about the film’s weaknesses. Almost every review I’ve read, whether from an established critic like Roger Ebert or simply someone’s Twitter feed, has acknowledged the film’s simplicity and derivativeness, and then completely ignored them. In fact, some people have gone even further, saying that the smallness of the story and the characters actually makes the movie better. Sam Adams at The A.V. Club wrote that it’s the film’s political message—and not its visual inventiveness—that is so revolutionary.